Nathan Foran used his self-directed IRA to buy a dilapidated foreclosed house in Richmond for $25,000 cash. Another $25,000 to $35,000 from the retirement account will go toward fixing up the property. He then hopes to rent it out for about $1,000 a month, money that will go straight into his retirement account. Foran, 40, a San Anselmo real estate broker and investor, sees a lot of advantages in investing in real estate through his individual retirement account. With many properties at bargain-basement prices, more people have been turning to their self-directed IRAs as a ready source of capital to make real estate investments. Companies that manage self-directed IRAs say real estate investments by their clients are up as much as 30 percent over the past year. But experts caution there are a range of potential issues and gotchas – including ones that could even disqualify the entire IRA. Self-directed IRAs account for just 2 percent of the $4.2 trillion IRA market, but are among its fastest- growing segments. They allow access to a variety of investment vehicles beyond just stocks and bonds. The IRS closely regulates them, and any real estate investments must be handled by IRA custodian firms that hold the property inside the IRA. IRA owners can invest in any kind of real estate – raw land, commercial properties or residential rental properties. They cannot invest in a property they already own or plan to live in, however. The retirement funds “represent a large amount of untapped capital for investors that they can more actively manage,” said Brad Hemstreet, vice president of sales and marketing for Equity Trust Co., a Cleveland company with $8 billion of IRA funds under management. Mary Kay Foss, a CPA and director of the Danville office for accounting firm Greenstein, Rogoff, Olsen and Co., said using IRAs to buy real estate can negate many tax advantages. People who invest in real estate through an IRA have to make sure they adhere to IRS rules or they risk disqualifying the account, which carries heavy tax penalties. Neither they nor their relatives can live in the property. They cannot pay any expenses directly; everything from repairs to property taxes must be funded from the IRA. That means they must make sure their IRA has enough liquidity to handle expenses. If they have to add money, they pay a penalty. Companies that manage self-directed IRAs said they fully disclose all rules and recommend that investors educate themselves and consult their own accountants. About 30 percent of Entrust’s clients invest in real estate, he said. Foran is among them. Entrust charges $250 a year to manage a single property, plus fees for purchasing the property. 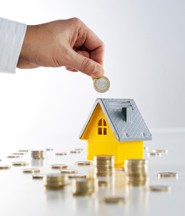 Most IRA real estate investors buy properties with all cash, the simplest approach. If they don’t have enough funds to do that, they can partner with other IRA account owners, or even partner with themselves, for instance paying half from their IRA and half from their personal savings. A handful of banks offer mortgages to IRA investors, but they must put down at least 30 percent, and they pay a higher interest rate because the loans must be nonrecourse, meaning the banks cannot go after other assets. Once IRA account holders reach age 70 1/2, they must start taking minimum required distributions from their account. What if they have a house held in the account and can’t sell it? “You can take a portion of it and transfer it to yourself,” said Kathy Holcomb, business development officer at Pensco Trust Corp., a San Francisco IRA management company. Suzanne Gregg, an agent with Paragon Real Estate Group in San Francisco, has bought and flipped a couple of properties through her IRA and said she tripled her money.